Experienced President with a demonstrated history of working in the entertainment industry. Skilled in Production Management, Film, Facility Management (FM), and Documentaries. Strong business development professional with a Bachelor of Science focused in Criminal Justice/ Psychology from University of Wisconsin-Platteville. Mark F. Roling was born and raised in Chicago, Illinois. After graduating from the University of Wisconsin, he headed off to Hollywood on the tail of his first original screenplay, “Internal Affairs”, which was later produced by Paramount Pictures. Mark has written television series episodes for Paramount, New World Television and Warner Bros. Television. He has held script analysis/editor positions in the past with New Line Cinema, Paramount Pictures, Columbia Pictures, and many others. From 1988 to 2006, Mark was also Director of Film Studio Operations for Warner Bros. Studios (WBTV, Warner Bros. Features, Warner Independent Pictures, etc. ), all while maintaining his writing career. In 2011, Mark formed Hungry Dragon Films, and has developed numerous Feature, TV and Live Event productions. In 2013, MFR and Hungry Dragon won critical acclaim as the Producer for the short film, “Mirage At Zabul Province”, that grabbed over 12 Best Short Film and Best Director awards at film festivals Domestic and Internationally. 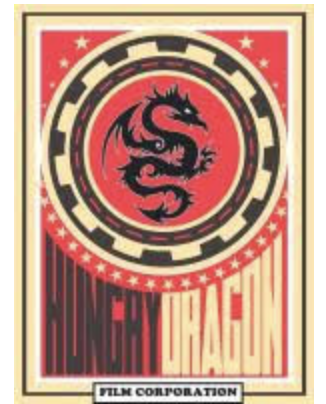 Hungry Dragon’s current projects include the Latino themed comedy feature, UNDERCOVER BARISTA, set to star Benjamin Bratt, George Lopez and Paul Rodriguez. For television, Mark has created and co-wrote the TV Episodic thriller, APOSTLE 21, with award winning screenwriter, Shane McCabe, hailing from Dublin, Ireland. 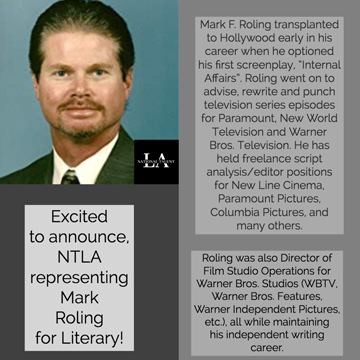 Mark’s extended profile and resume for production and screenwriting can be seen on IMDB Pro under Mark F. Roling.